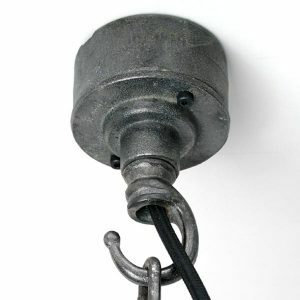 Select required flex length & colour in the option boxes below. 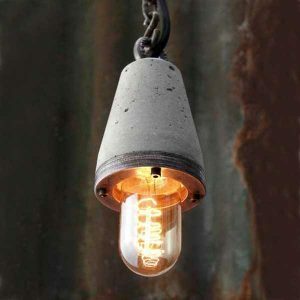 Raw concrete pendant light with a minimalist industrial feel. 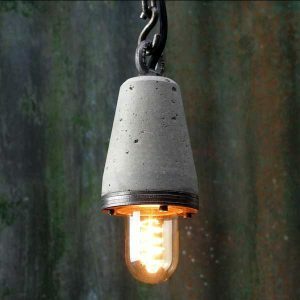 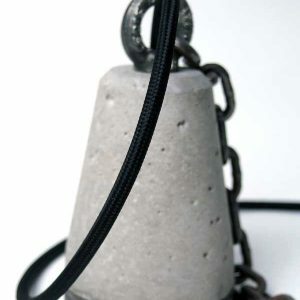 Exposed bulb, cast concrete with layered steel edging ring detail, suspended from a heavy duty steel hanging eye nut, chain and S-hook. 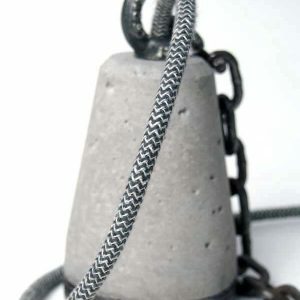 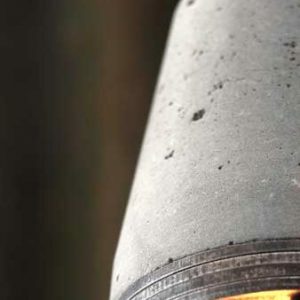 The chain will be supplied at the length to suit the selected flex length . 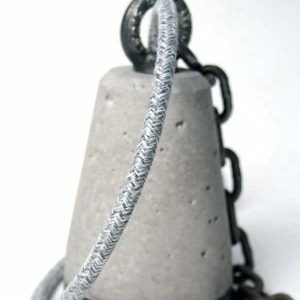 If you would like the chain and flex cut to a specific length, contact the studio on: studio@brutaldesign.co.uk.